Do you have recommendations for healthy protein sources that toddlers actually eat? Protein recommendations vary by age, but on average, children need 1 gram of protein per kilogram of weight (to get your childs weight in kilograms, divide their weight by 2.2). We have found that most parents overestimate their childs protein needs. To give you an example, an 80 pound (~36 kilograms) child would about 36 grams of protein per day! Thats it! Bottom line is that most toddlers get plenty of protein in their daily diets, even if they don’t eat much meat. However, for parents that want to include more protein, below are some ideas that are often toddler friendly. Lean protein sources such as chicken and fish are great, but many toddlers are not always interested in eating them. Lean meats can have textures that are sometimes difficult for young children to handle, so they don’t naturally gravitate towards these foods. 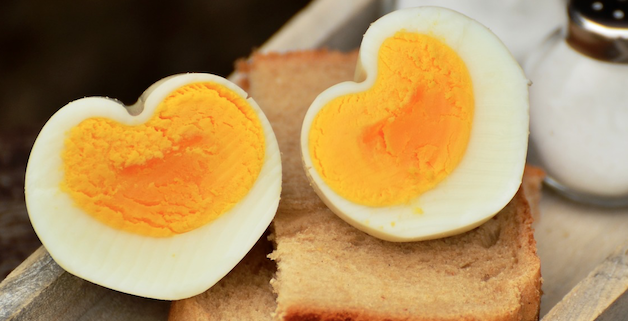 Eggs are a great source of protein. Many toddlers will eat them scrambled with a little bit of milk and cheese. Remember just one egg is a serving of protein for a toddler. When my kids get tired of eating scrambled eggs, I often mix things up and make egg in toast (cut a hole in the center of a piece of bread and cook an egg in the center of toast in a pan with butter), or sometimes I make homemade French toast with egg, milk, vanilla extract and cinnamon. Yogurt and cheese are also good options for protein. Beans are also a good source of protein for toddlers. My go to method of “bean inclusion” in our house is homemade nachos. I used corn tortilla chips (made with no additives or coloring), cheese, black beans and sometimes cooked chicken and bake it (then let my kids add avocado or guacamole and salsa). I always encourage parents not to resort to “kid friendly” meats, like frozen chicken nuggets (which can be highly processed) in order to get kids to eat protein. If you are worried that your toddler won’t eat meat at mealtime, you can supplement with eggs, cheese, yogurt, beans or other protein sources until they are ready to eat lean meats and seafood. Bottom line is that most toddlers get plenty of protein in their daily diets, even if they don’t eat much meat. However, for parents that want to include more protein, below are some ideas that are often toddler friendly. A walk through the baby formula aisle at the store can be daunting! There are so many options and the labels are full of different ingredients and health claims for infants and toddlers. 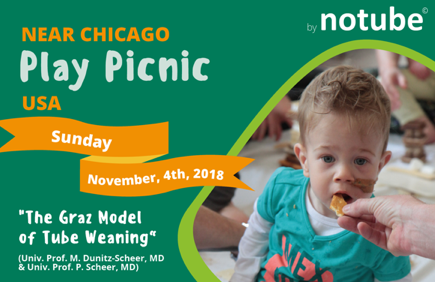 This week we got the following nutrition question from a Chicago-area mom: I am a breastfeeding mom, and I am also supplementing with formula. I am confused by the difference between prebiotics and probiotics in baby formula. Can you help clarify this? Because of the known health benefits of breastmilk, baby formula is often formulated to include some of the naturally occurring components of breastmilk. Probiotics and prebiotics are both found in breastmilk and have made their way into baby formula over the past 10 years. Prebiotics are carbohydrates and the precursors to probiotics. They help create the right environment for probiotics to work and do their job. They serve as the food source for the good bacteria (or probiotics). Prebiotics are found in abundance in breastmilk, specifically Human Milk Oligosaccharides (HMO). Many formula companies are now adding prebiotics to infant formula. The common names for the prebiotics found in infant formula are: Fructooligosaccharides (FOS), Galactooligosaccharides (GOS), Polydextrose and 2′-Fucosyllactose (2-FL). While the prebiotics found in formula don’t provide all of the immune functions of naturally occurring HMO in breastmilk, studies indicate they can help grow the good bacteria in a baby’s intestines. Probiotics are the actual beneficial bacteria that live in our bodies and can have health protective qualities for babies and adults alike. They are added to infant formula with the goal that they will help populate babies’ intestines and provide balance between good bacteria and bad bacteria. While some baby formulas also now contain probiotics, they are not found as commonly and widespread as prebiotics in formula. The common names for the probiotics found in infant formula are: B. lactisand L. Reuteri. Hopefully this helps “decode” the labels a bit! Toddler Playdate for Tube Feeding Families Please join us! 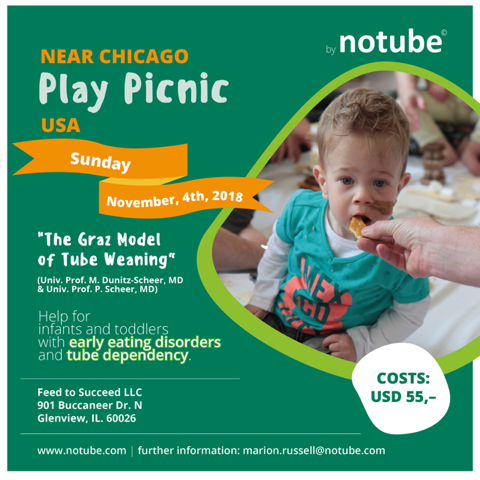 We are excited to partner with Notube, an international nonprofit organization that specializes in working with tube fed children, for an infant and toddler playdate at our office on November 4. Our team has worked with hundreds of children with feeding tubes. As research and experience has dictated, we have shifted away from formula feeds over the past few years towards using real food. Real food is more digestible, decreases reflux and constipation, encourages good growth, and is more natural. Parents who are trained to prepare real food for their children are often surprised to know that they can meet their child’s nutritional needs and improve feeding tolerance by shifting from formula to real food. With Feed to Succeed, something as elusive as feeding a child is suddenly a real possibility. Time and time again, we get to share the moment of a family making a positive transition to a healthier child. Spots are limited, so please RSVP to info@feedtosucceed.com or marion.russell@notube.com.